Leading Australian water industry companies have been recognised for excellence in technology and expertise at the Water Industry Alliance’s 2018 Smart Water Awards. In its 15th year, the Awards recognise and celebrate Alliance members for their leading-edge expertise and innovation. Global irrigation company Sentek was awarded the Minister’s Award for Excellence, along with the Innovation in SMEs Award for its IRRi Link technology, at the Ceremony on Friday 6 July. Sentek received the Minister’s Award for overall excellence in the water industry, providing valuable solutions to improve the sustainability of our environment and water resources while also assisting land owners to better manage land and improve productivity. “We are honoured for this recognition,” Sentek CEO Nick Ktoris said. “Sentek is going from strength to strength.  Sentek has demonstrated that they continue to invest in innovation in their products and services. The Sentek IRRi Link integrates the existing sensor technology with a wireless personal area network technology (known as Bluetooth Low Energy) that was originally designed for applications in the healthcare, fitness, beacons, security, and home entertainment industries. Sentek is the first company that has adopted this new mobile platform for its sensor technology in the agricultural space. The new cost and energy effective sensor data transmission platform allows all irrigation farmers in the world to afford a simple measurement and management tool and opens up a range of new markets including small holder farms, nurseries, greenhouses and farms in developing countries. •	They are providing valuable solutions to improve the sustainability of our environment and water resources whilst also assisting our land owners to better manage their land and improve their productivity. 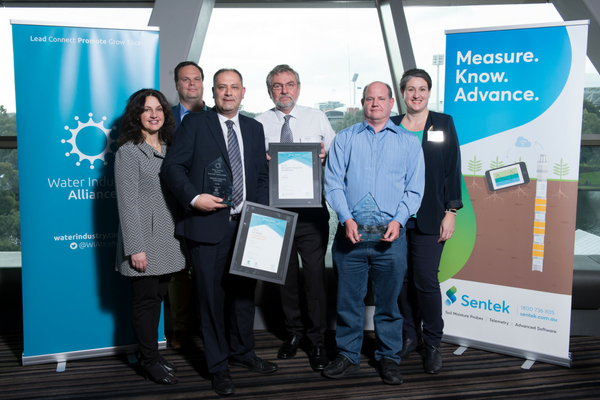 The Sentek team with their awards at the 2018 Smart Water Awards.